One of the main breeding sites for Armenian Gull worldwide is the Lake Urmia, situated in the NW corner of Iran. Annual surveys and monitoring actions about exact breeding numbers are not available, but it may still hold the largest breeding colony for Larus armenicus. Over the last decades, Lake Urmia is obviously facing large problems with decreasing water levels. Save Lake Urmia Campaign (www.saveurmia.com) is a group that likes to raise awareness of Lake Urmia and demand the international organizations such as UNESCO and FAO, and the Iranian government to take immediate actions to preserve the lake. The website provides much interesting background information, which is partly copied here below. Climate of the Lake Urmia region is semi-arid, pluviseasonal-continental Irano-Turanian steppe climate with mean annual precipitation of 341mm and mean annual temperature of 11.2 °C. Mean maximum and minimum temperatures occur in July (23.9°C) and January (−2.5°C), respectively. The wet season lasts for 7 months with two pronounced peaks in precipitation during November–December as snowfall and March–May as spring rainfall. Prevailing winds shift according to season with westerlies in winter, strong southwesterlies in spring, and northeasterlies in summer. Drying up the lake will result in almost 8 billion ton of salts in the area. The huge source of salt incorporating with the prevailing wind in different seasons most probably will dominate parts of Turkey in west, Iraq in southwest, Azerbaijan and Armenia in north and around the lake in northwestern Iran. The hydrology of wetland areas creates the unique physicochemical conditions that make such an ecosystem different from both well-drained terrestrial systems and deepwater aquatic systems. Hydrologic conditions are extremely important for the maintenance of a given water body’s structure and function and affect many abiotic factors which, in turn, may impact the biota that develop in it. Because saline lakes occur primarily in endorheic basins, they may be particularly sensitive to environmental changes because their size, salinity and annual mixing regimes vary with alterations in their hydrologic budgets. In a recent drought of the Urmia basin, which started in 1999, the water level of Lake Urmia dropped from 1277.80 m to 1273.35 m. Three meters decrease in the lake level from August 1998 to August 2001 has caused approximately 1000 square kilometres decrease in the area of the lake. Investigation of the lake dimensions due to evaporation subject to present – day climate in 2010 show that surface water level will decrease from 1275 m (in 1990) to 1270 m above mean sea level and water volume will decrease from 25 km3 (in 1990) to 11 km3 . The lake salinity increased from 140 ppt to about 310 . The possible causes of rising salinity are likely to be surface flow diversions, groundwater extractions and unsuitable climate condition. A project to construct a highway across Lake Urmia was initiated in 1979 to facilitate communication between Tabriz in East Azerbaijan and Urmia in West Azerbaijan. Kalantari highway divides the lake into south and north arms. To facilitate water flow between the north and south parts of the lake there is a 1400 m  opening covered by a bridge. Most rivers flow into the lake from the south, and there is a water flow from south to north. Several dams are planned or under construction on the rivers flowing into the lake. By holding back water, they will result in an imminent decrease in freshwater inflow, a concomitant increase in salinity, and a decline in water level. With respect to salinity patterns in Lake Urmia, it is concluded that over long term periods, the constructed causeway has not had and would not have significant impacts on the overall salinity patterns in Lake Urmia as compared to the natural (pre-causeway) conditions . Factors affecting the water balance of the lake (e.g., climatic variability, reduced river inputs, increased salinification, and declining lake levels as a consequence of dam construction) have had and will have the dominant role. An ecological research on the environmental water requirements of Lake Urmia shows that it requires annually 3086 MCM of inflow water to have a sustainable ecosystem . Lake Urmia region is located within the Artemisia fragrans steppe zone which is the regional vegetation type of the East Anatolian plateau, Azerbaijan and northwestern Iran. At high elevations, this vegetation is replaced by montane steppe with thorny cushion plants. The scrub vegetation occurring in the valleys and mountains bordering the western edges of the lake consists mostly of shrubs and small trees of the Rosaceae family. In some places (e.g. on lake islands), isolated stands of Pistacia, Rhamnus and Juniperus scrubs can also be found. Vegetation on lowland saline plains around the lake is composed of diverse halophytic and halotolerant communities, dominated by succulent chenopods and halophytic grasses. The main environmental factors controlling the formation and composition of these plant communities are the salinity, the soil moisture, and disturbance due to natural and anthropogenic impacts. Stands of pistachio Pistacia atlantica woodland survive on the larger islands, notably on Ashk and Kabudan. Other conspicuous plants on those islands are buckthorn Rhamnus sp., species of wormwood Artemisia, Dianthus and grasses Hordeum and Bromus. Palynological evidence from hypersaline Lake Urmia in northwestern Iran indicates that Riella aff. cossoniana, a presently unknown liverwort from Iran, may still be present in the Lake Urmia region and around some other saline lakes of Iran . Future botanical excursions to less saline ecosystems, particularly the inaccessible, water-logged entrances of large rivers should identify greater concentrations of this liverwort. 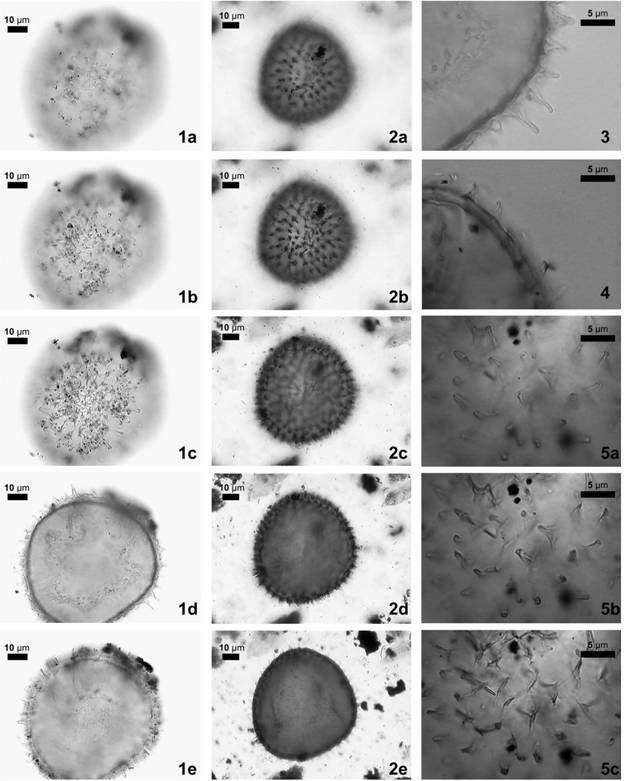 Riella spores can be used as a palaeoecological indicator for lake level changes in saline lake environments located in semi-arid climatic contexts. In the long pollen records from Lake Urmia, the increase of the Riella spore percentages is coincident with proposed intervals of high lake level during glacial periods. The higher spore production during these periods indicates particular environmental conditions more suitable for the presence of this species. An investigation on pollen record around Lake Urmia  shows that very high lake levels, registered by both pollen and sedimentary markers, occurred during the middle of the last glaciation and late part of the penultimate glaciation. The last interglacial period (Eemian), slightly warmer and moister than the Holocene, was followed by two interstadial phases similar in pattern to those recorded in the marine isotope record and southern European pollen sequences. High-resolution analyses with better dating control are required to study the higher-frequency changes in vegetation and climate during both glacial and interglacial periods. Flamingos are known to breed in large numbers at Lake Urmia as many as 25,000 breeding pairs. Towards the end of the breeding season, the adults congregate in huge rafts to moult. The vast mudflats surrounding the lake are the most important autumn staging area for migratory shorebirds and garganey Anas querquedula in Iran. The lake appears to be an important moulting area for common shelduck Tadorna tadorna. The lake is marked by more than one hundred small rocky islands, which are stopover points in the migration of various waterfowl (including flamingos, pelicans, spoonbills, ibises, storks, shelducks, avocets, stilts and gulls). Artemia is a unique cosmopolitan anostracan living in hypersaline and saline lakes, ponds, lagoons and man-made salterns. Artemia is very well adapted to the severe physiological demands imposed by these ecosystems. Covered by a nearly impenetrable exoskeleton and able to pump out excess of salt, brine shrimp can tolerate the widest salinity range of any other multicellular organism . The sexual species of Artimia include Artemia salina (Spain, North Africa, Italy, and Cyprus), Artemia urmiana (Lake Urmia, Iran), Artemia sinica (China), Artemia sp. (Kazakhstan) and Artemia tibetiana (Tibet). Günther reported for the first time the presence of Artemia in Lake Urmia in 1899. Owing to high salinity of this lake, there are no other aquatic fauna. Results of investigations show that in early 2003, climatic conditions caused the salinity of the lake to drop to 250 ppt in the southern part; whereas, it remained as high as 280 ppt in the northern part. Because of high salinity in the northern part, Artemia was not able to recover fully . A sample from Lake Urmia was found to be exclusively parthenogenetic, consisting of diploid, tetraploid and pentaploid individuals. In a study, cyst characteristics of A. urmiana was investigated. Results showed that most of Urmia cyst samples presented poor hatching . Special attention should be paid during cyst processing since dehydration has a negative impact on cyst hatching quality. A. urmiana cysts are among the largest recorded for bisexual Artemia species showing considerable similarities to the cyst size of some parthenogenetic populations from China, India, Italy and Greece. Their diameter was highly variable. Although this variability could be expected, it may, also, serve as a strong indication of co-existing bisexual and parthenogenetic Artemia populations in Lake Urmia . A. urmiana nauplii are suitable for use with predators where live feed size is not critical. Certainly, they can be used as live feed for later developmental stages of cultured species. A. urmiana can be considered a very efficient osmoregulator within the Artemia genus. It propagates by producing mainly encysted embryos, which makes it attractive for future commercial exploitation. However, its cysts are not easily harvestable since either they sink to the bottom or remain in suspension even at very high salinity brines. Results of laboratory conditions for three levels of salinity (75, 125 and 175 ppt) have revealed that the reproduction and lifespan of Artemia reduces as salinity increases. In order to have a sustainable population of Artemia as the ecological index of Lake Urmia ecosystem , the salinity concentration of 240 ppt of NaCl (as 90% of the lake’s chemical components) is considered as the water quality requirement for the survival of Artemia urmiana. Salts, except for halite, are generally lower in Lake Urmia compared to its sister, the Great Salt Lake in the USA, particularly those of K+. The latter consideration might make potassium recovery uneconomical in comparison to the Great Salt Lake. Sodium chloride has been obtained from solar evaporation ponds around Urmia Lake for a very long time, probably since the first humans populated the region. At present, 450 thousand tons of salt is recovered from the lake annually, of which four hundred thousand tons are used for production of NaCO3 in the city of Maragheh in the southeast corner of Urmia Lake, and the remaining fifty thousand tons are produced by small private operators for export and domestic use in villages around the lake. Human population growth in the lake’s basin has seriously increased the need for agricultural and potable water in recent years, all of which are supplied from surface and groundwater sources in the area. These matters, together with poor weather conditions, have reduced significantly the volume of water entering the lake so that, at present, Lake Urmia has shrunk significantly and large areas of the former lake bed have been exposed. Diverting potential rivers such as Zab with high inflowing capability (mean water discharge = 44.52 m3/sec) maybe useful for recovery of Lake Urmia . Without such intervention, significant alterations in the biota of the lake will likely continue, and agricultural production may be dramatically and negatively impacted, including the unique Urmia Lake Artemia. It is important that conditions be maintained that enable this species to complete its reproductive cycle and thereby conserve this genetic resource. Attention must be given to the nature of threats and impact of human activities. An awareness and better understanding of the lake by the surrounding human population will provide a foundation for future sustainable management of this remarkable inland lake. Most studies on chemical parameters of Lake Urmia are based on a few randomly selected samples; therefore, these results can not be used to provide an integrated scheme for seasonal and annual fluctuations of parameters in the lake. Djamali M., Kurschner H., Akhani H., de Beaulieu J.-L., Amini A., Andrieu-Ponel V., Ponel P., Stevens L. (2008) “Palaeoecological significance of the spores of the liverwort Riella (Riellaceae) in a late Pleistocene long pollen record from the hypersaline Lake Urmia, NW Iran” Review of Palaeobotany and Palynology, 152 (1-2), pp. 66-73. Djamali M., de Beaulieu J.-L., Shah-hosseini M., Andrieu-Ponel V., Ponel P., Amini A., Akhani H., Leroy S., Stevens L., Lahijani H., Brewer S. (2008) “A late Pleistocene long pollen record from Lake Urmia, NW Iran”,Quaternary Research, 69 (3), pp. 413-420. Abbaspour, M. and Nazaridoust, A. (2007) “Determination of environmental water requirements of Lake Urmia, Iran: an ecological approach”, Int. J. Environmental Studies, 64(2), pp.161-169. Abatzopoulos T.J., Baxevanis A.D., Triantaphyllidis G.V., Criel G., Pador E.L., Van Stappen G., Sorgeloos P. (2006) “Quality evaluation of Artemia urmiana Günther (Urmia Lake, Iran) with special emphasis on its particular cyst characteristics (International Study on Artemia LXIX)” Aquaculture, 254 (1-4), pp. 442-454. Agh, Naser (2007) Characterization of Artemia populations from Iran. PhD thesis, Ghent University, Belgium. Eimanifar A, Mohebbi F, (2007) “Urmia Lake (Northwest Iran): a brief review”, Saline Systems. 3, 5. Heidari N., Roudgar M., and Ebrahimpour N., (2010) “Thermodynamic quantities and Urmia Sea water evaporation.” Saline Systems, 6(3). Zeinoddini M., Tofighi M.A., Vafaee F. (2009) “Evaluation of dike-type causeway impacts on the flow and salinity regimes in Urmia Lake, Iran”, Great Lakes Research, 35 (1), pp. 13-22. Larus armenicus 3cy April 02 2010 Ashdod, Israel. Picture: Amir Ben Dov. Larus armenicus 3cy April 11 2012 Ashdod, Israel. Picture: Amir Ben Dov. 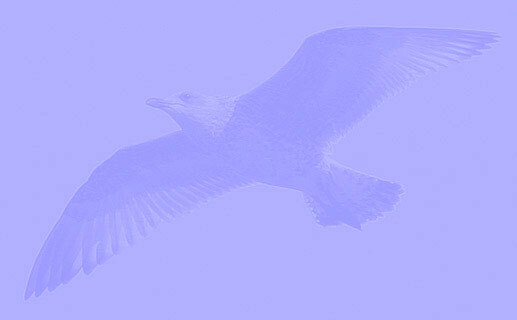 Larus armenicus 3CY, April 26 2013, Maagan Michael, Israel. Picture: Amir Ben Dov. Larus armenicus 3CY, April 11 2013, Ashdod, Israel. Picture: Amir Ben Dov. Larus armenicus 3cy April 11 2012 Ashdod, Israel. Picture: Amir Ben Dov. Advanced individual with all white tail.